All the top LaLiga news in one place! Santiago Solari has dismissed speculation that the Real Madrid squad is divided and has lost focus. The manager was talking to the media ahead of the Clasico when he said that Bale and other players are getting along well and there is no tension in the dressing room. “We are only focused on the game, we want to prepare for it and enjoy it. We had to overcome a lot to get here and we enjoyed a strong result in the first leg, so we are confident in what we can do,” said Solari. “This is a game where everyone wants to play, it will be broadcast around the world and we want to keep fighting in three competitions. Fear does not exist in football, we want to compete – we will do everything to prepare and make the players happy,” added the manager. Leo Messi wants the best for Barcelona all the time. He has the power like no other player in the world and he has never abused it. The Argentine has asked the Catalan club to sign and sell players and he has made another decision for them. 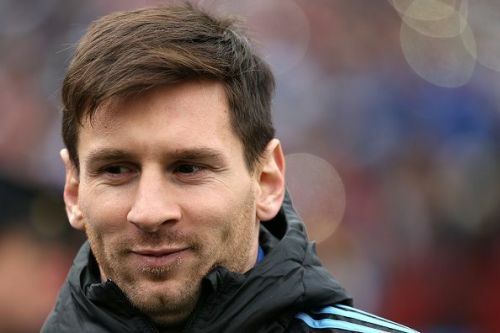 Reports in Spain claim that Messi has asked Valverde to drop Arturo Vidal from the first team ahead of the El Clasico. The forward has also asked the board to sell the midfielder in summer as he is not needed at Camp Nou. Real Madrid are set to reshuffle their squad this summer and they are going to spend big! Los Blancos are keen on signing young players who can become world beaters and also a couple of experienced players who can bring the glory days back. As per reports in Spain, Florentino Perez has decided to make two huge signings from Ajax. They already missed out on Frenkie de Jong, but are not willing to let Matthijs de Ligt slip. The Spanish giants are set to make a huge offer of €75 million for him as per the report and also make a move for Tagliafico (€20M rated on TransferMarkt) as well – as a replacement for Marcelo, who is set to join Juventus.